TR-3000 Carisma SM is a model designed for copying keys faster and in series. Carisma SM whose structure of knife and control mechanism is adjusted in accordance with this kind of processing is one and the only machine giving 100% opening warranty in its class. Circular working systems which can create boredom during the usage of modern-day keys depending on the precision ratio; increase this boredom especially in semi­automatic class. TR-3000 Carisma SM is at the top rank in terms of accuracy from copy to copy and enabling the most productivity at the maximum period of time. 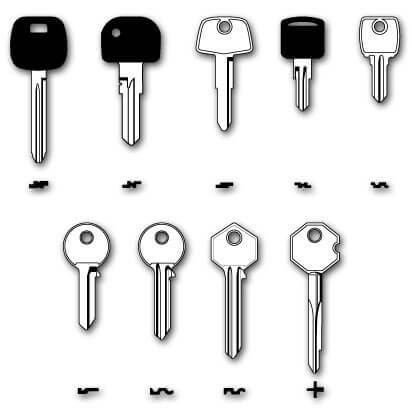 Thanks to the slot arm situated at the side, a key can be copied in only 10 seconds. Also, the machine starts working when the key is being processed and when this copying procedure is over, it automatically stops. The most striking feature Carisma SM has is its horizontal working mill system- like what other series have. While copying keys, with the loss in angle from lower plug to the upper plug in the code of locking, circular working clamp systems increase the error rate. Thanks to the horizontal working system developed, no matter how many keys are processed from one copy to the other, because the cutting and follower centers of a raw key and the copied ones are at the center, error rate on the copied keys is always zero. Because of that, An-San gives 1OOOfo of opening warranty to all keys it has made. Workspace oriented and lens-assisted environmentally friendly lighting. The follower system has a strong structure to protect the sensitivity of intact for many years. Professional locksmiths are offered the highest level of comfort for the user. Clamp to select portions of the following buttons to press to make your job easier. Machine plastic parts are manufactured from recycled ABS material. Teflon-coated bushings used in the Y axis with high-quality precision movement and a stable work. To protect the appearance and solidity of machine body is painted with high-quality epoxy coated. With three-blade cutting surface and cutting set with this structure, long life and zero risks of tooth fracture. Kept to the highest of all standards for electrical safety. Burrs, with a comfortable use, is absorbed by the protector.